Create underwater features with Deep Pour Water and Water Undercoats for submerged water scenes or to imitate depth. Create any Murky aquatic ecosystem and add Surface Waters for the illusion of water movement and undeniable realism. Deep Pour Water dries hard and won't crack, is non-shrinking, and will not become discolored over time. About Water Base Use Deep Pour Water Clear to easily achieve depth and display underwater terrain. 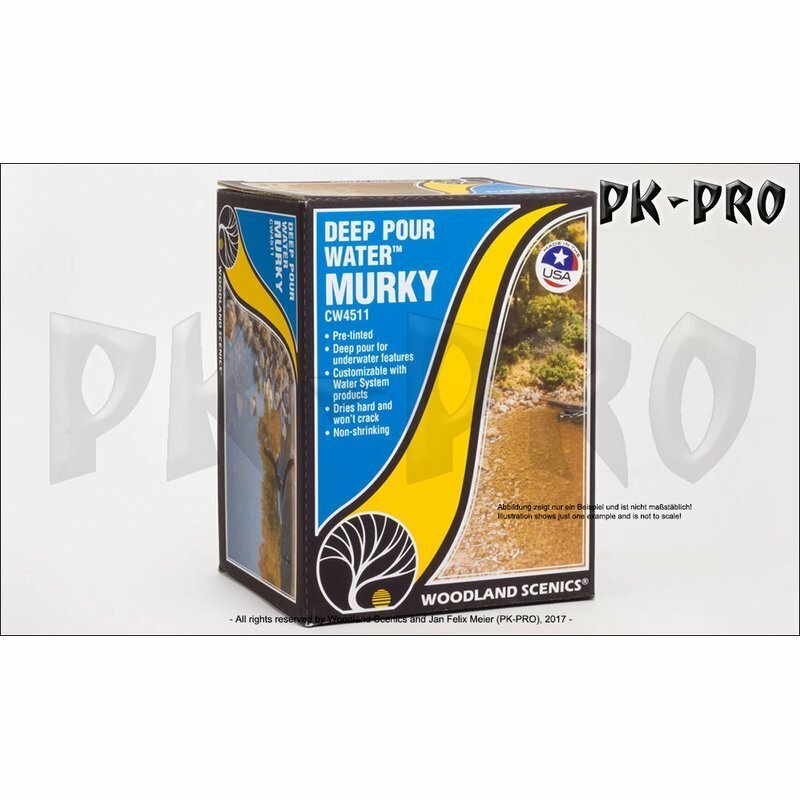 Deep Pour Water Murky is pre-tinted and perfect for any murky water feature. Choose Realistic Water for a simple one-step solution for modeling water that can be poured up to 1/8 in at a time. Use E-Z Water for deep single pours.